Last stop on the 2019 Packed Powder tour will take us to one of New England's finest nordic centers deep in the heart of the White Moutains. 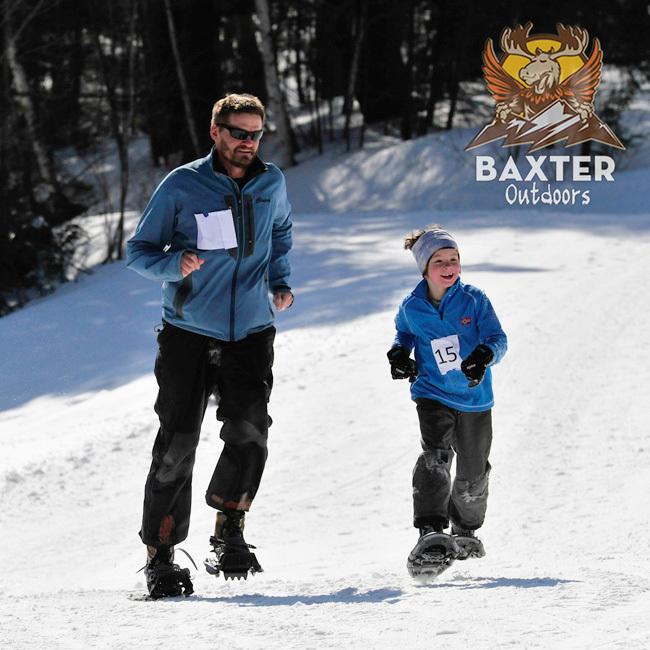 Jackson XC (once voted 'Best Cross Country Ski Area in the Eastern US') manages over 150km of nordic trails in Jackson and the abutting White Mountain National Forest, and will play host to our last race of the season. This professionaly curated course has its fair share of ups and downs but those are ultimately overshadowed by sweeping views of the White Mountains and surrounding hills. The race will begin with a 5km snowrun, followed by a 5km snowshoe and 5km (freestyle) nordic ski. Racers may choose from a solo 5km snowrun, a solo triathlon, or a team triathlon. 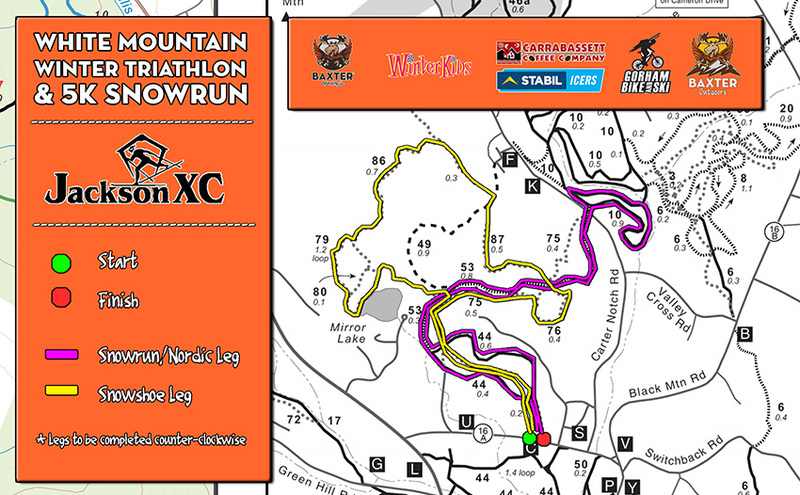 Come join us in Jackson, NH on March 16th for the White Mountain Winter Tri! This race is a freestyle race meaning that you may either classic or skate ski. Those looking for faster times and a podium place should consider skate skiing.